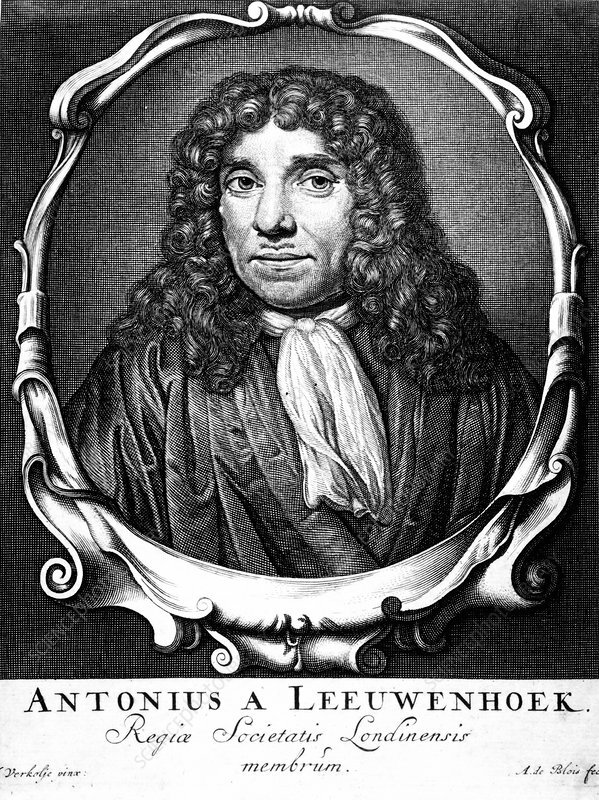 Anton van Leeuwenhoek, Dutch pioneer of microscopy, c1660. It was probably as a result of his use of lenses in examining cloth as a draper's apprentice that led to Leeuwenhoek's interest in lens making. Using microscopes he assembled himself, he discovered the existence of protozoa (1674), bacteria in tooth tartar (1676), blood corpuscles (1674) and blood capillaries (1683), among many other observations. In 1680 he was made a Fellow of the Royal Society in recognition of his work. From his Arcana naturae detecta. Artist: Abraham de Blois.